Serves: 1, if it’s for Ron, 6-8 for those with less hearty appetites. Using a thin-cut bacon, take three slices and braid them into one thicker piece of bacon. 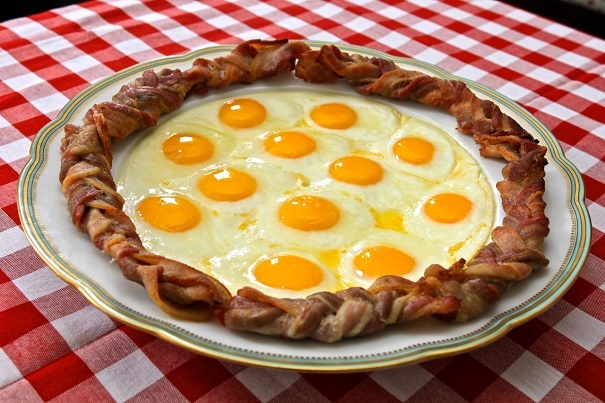 Do this 7 more times, until you have enough bacon to create a wreath large enough to encircle a dozen fried eggs. Bake bacon in 450 degree oven until done, 25-30 minutes. 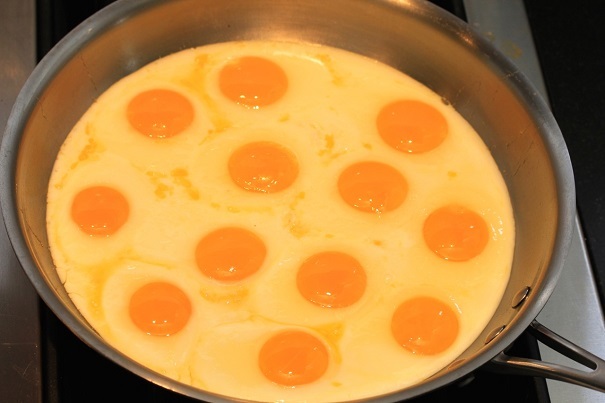 Cook one dozen eggs (sunny side up) in melted butter in an iron skillet – just like the skillets our forefathers used. 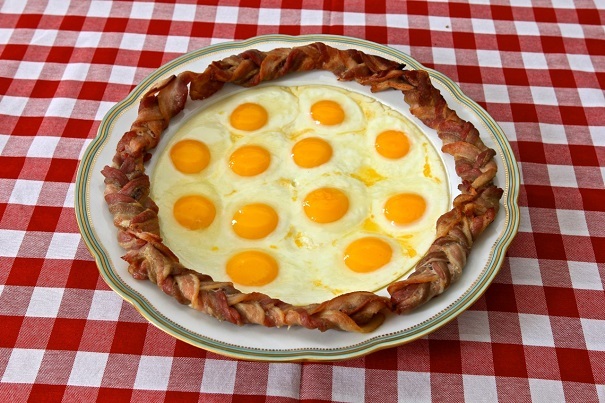 Slide eggs effortlessly onto a large round platter and surround with bacon wreath. Salt heavily and serve immediately with extra toast and butter.